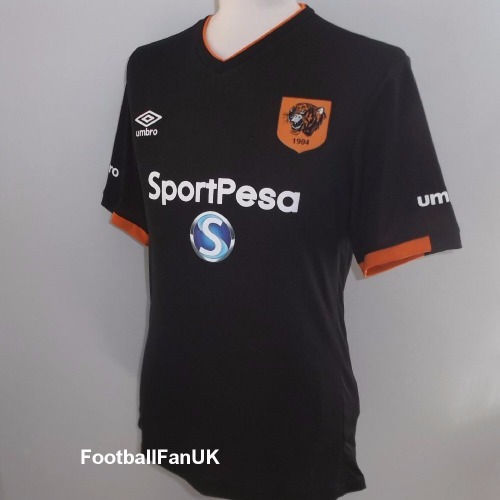 Official Umbro black away shirt for Hull City FC for the 2016/17 Premier League season. New with tags. We only sell official merchandise from Umbro, so you can purchase with confidence. - Stadium co-ordinates printed inside neck. - Black stripes with orange trim. - 'Tigers' printed at back of neck. - Umbro product no. 75458U-UNS. - New with tags with Umbro authenticity hologram and individual serial number. - Adult Small. Chest 38", length 28".